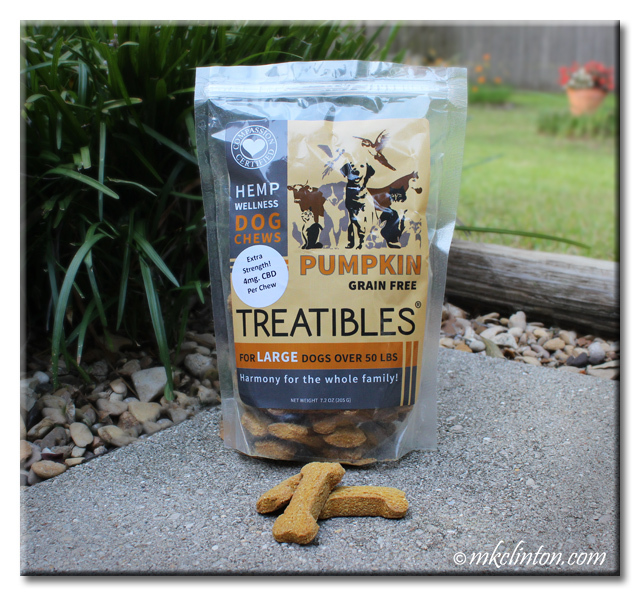 Barking from the Bayou, LLC received a bag of Treatibles in exchange for an honest review. We only share products that we feel will benefit our audience. Treatibles is not responsible for the contents of this article. All opinions are our own. I am a firm believer in the benefits of CBDs for dogs. 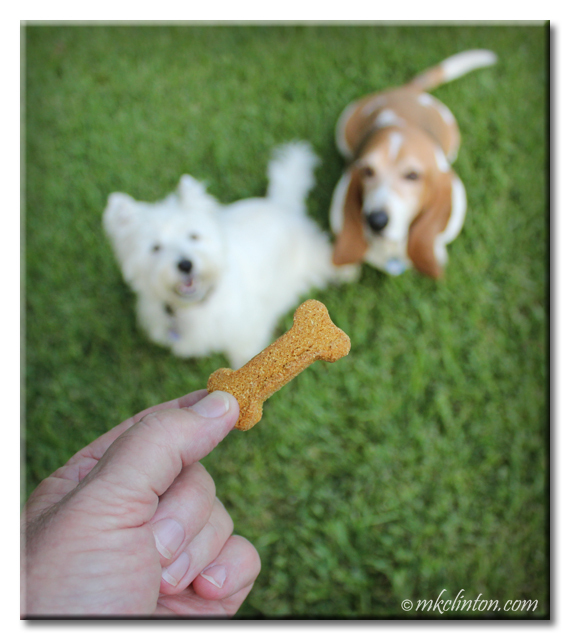 When I was asked to review Treatibles® Hemp Wellness Dog Chews, there was no hesitation. Bentley and Pierre were so excited when I told them they could review our new Hemp Wellness Dog Chews! *Update! 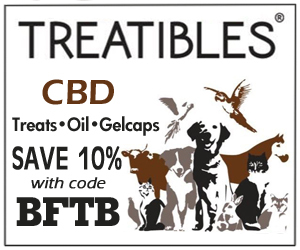 I am now an affiliate for Treatibles. If you use my code to save 10% on your order, I will receive a small commission. Thanks for your support! Join now for the PRIME of your life! You will love these, Da Phenny! They will keep you off the Pad o' Shame! BOL! I think you would find these to be not only tasty but very helpful to the girls. You won me over at the Pumkin TREATS!!!! Pumpkin and peanut butter are an amazing combination! What a great review. Anything with pumpkin seems to be very tasty to pups. I don't recall ever seeing a feline treat with pumpkin. Madi is a big fan of salmon and cranberry treats. Cats can enjoy these Treatibles and they are planning a line just for cats. I'll let you know when they are available. These are yummy and they are working on a line just for kitties! No THC? Ok, guess I won't hafta hang out behind da Taco Bueno wif all da udder stoners in town. BOL! They worked like a charm on the boys. Pierre sat and watched the squirrels instead of racing in circles and barking to go outside. WE like that is has a calming effect. There are times when mom says I get a little over the top excited - like when company comes over. They make a smaller size bone that you can try. We really like them! They look so yummy and I love the bone shape! They are nice and soft to chew. Mom says they smell yummy too. They are very yummy and good for cats too! We've been hearing lots of good things about CBD as well. Those treats look yummy. I love giving the boys CBDs. This is the second kind that we've tried. Treatibles are the treats and I also add a powder that we reviewed to Bentley's food to stop his itching. I know Bruin could definitely use some CBD and I know they would all like the pumpkin, peanut butter flavor. We'll have to check these out, thanks for sharing! You should definitely give these a try. I am very impressed with CBDs. Oh wow, I didn't know these had been around for so long! We are trying some now, but not seeing the results we were hoping for quite yet. However, we will say that the crew loves them, so they're OK with continuing to try! I know they were at the BlogPaws conference. I wish that I'd met them in person but I really like the way these help the boys relax. I'm thinking about getting some of these for my mom's dog. He is terrified of storms. I can't wait to try these on Bentley during the next thunderstorms. I'll let you know how they work. Great review, glad they were a hit. Thanks so much! The cats would enjoy them too! Those look yummy. I is a cat. Wonder if I would like them. Living in Colorado where the mountains are the only thing high, we are big fans of the amazing effects of CBD's. Elsa takes CBD oil to help control her seizures and Sam gets doses when he goes on long car rides. The results are just short of amazing. Elsa has been seizure free for the past few months (think we've finally figured out the right dosage with her anti-seizure meds) and Sam can finally travel on long trips without blowing a gasket and I know CBD . Great review guys; we'll be on the lookout for these treats! My dogs tried these and thought they were pretty yummy! They love anything with pumpkin flavor. and turmeric is so good for inflammation, too! It's no secret we love Hemp! The ingredients are some of my furvorites.